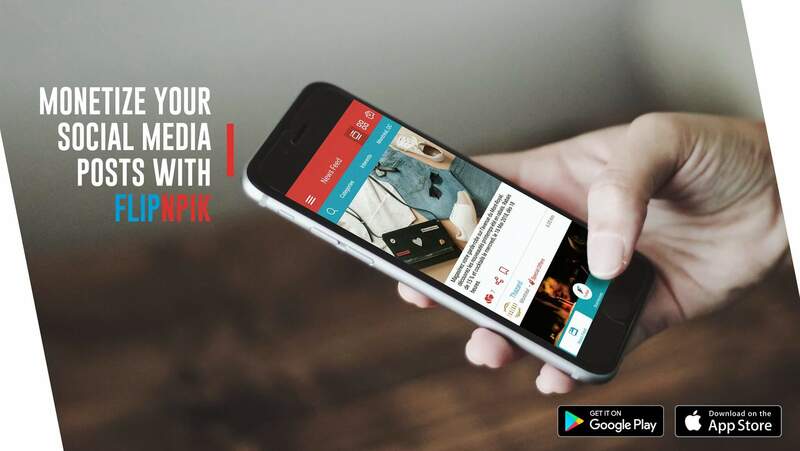 FlipNpik is an inventive online networking platform that enables clients to adapt their social meda posts by supporting their most loved local shops. A few days ago, this creative platform which works on the world famous bitcoin-blockchain technology turned the game on its head by eliminating the large investment required to enjoy 100% bonus of FNP (FlipNpik) tokens to the public so as to level the playing field for small investors. Watch the announcement here. 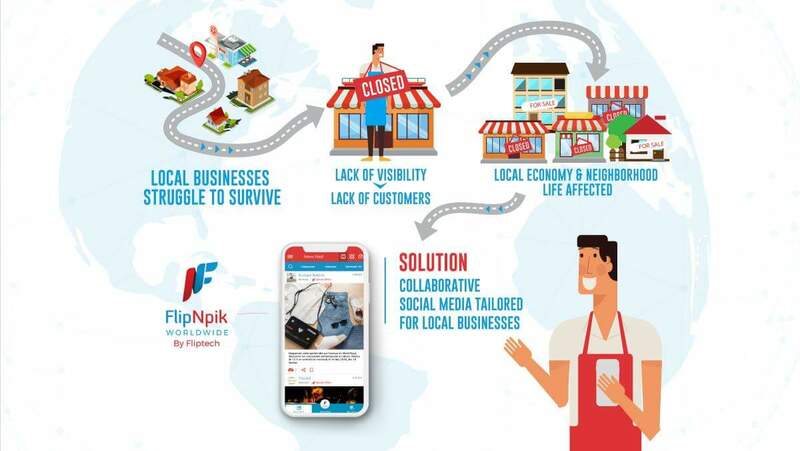 FlipNpik empowers small businesses and communities by providing a global platform that supports a community of mutually beneficial relationships. 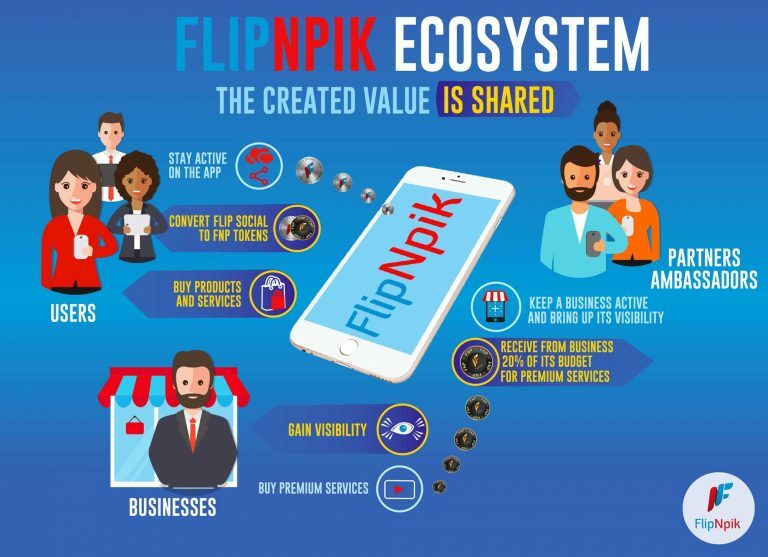 Within the FlipNpik community (via the FlipNpik App), Small Medium Enterprises (SMEs) get more visibility, as well as marketing and promotion from the collaborative efforts of users, who in turn get rewarded and remunerated with FlipNpik tokens when they support the businesses they love. Deploying a fiat-based payment gateway that uses money transfers to facilitate transaction of coins, FlipNpik allows the larger community who may be new to but interested in cryptocurrencies to easily break down the ‘crypto barrier’. Seasoned crypto investors will still be able to subscribe to the private sale and ICO using crypto-based payments. Starting with a low minimum buy-in of 100 USD, anyone can benefit from the ‘whale’ bonus which can reach 100%. This means you can now easily purchase FNP tokens and enjoy INSTANT BONUS traditionally reserved for large investors. You double your bonus instantly when you refer a friend who purchase the same amount of FNP tokens as you. With an investment of $100, you get a bonus of $100 dollar and even more when you refer friends. See Video to learn more.